New favorite item for washing. Makes washing easy and convenient. excellent purchase, dolly locks as advertised, everything that came with the complete system is as advertised. This car wash system is as advertised. The dolly wheel base is a solid piece of equipment and NOT cheaply built. 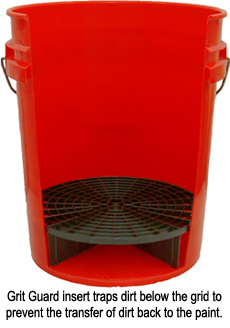 The bucket and dolly together move with ease when sitting on it with the foam cushion top. I was concerned the unit wouldnt be secure for sitting on when clay barring the side of a vehicle, but it was perfect both in height and comfort on the back. (Im 510190lbs). I also like the grate bottom and amazed how much small gravel pieces where on the bottom after a wash. Overall, from wheeling around the garage floor waxing and clay barring car side panels with ease, I love it! I also got the geek sticker because it looks good. It would be nice to sit just a little lower, like make the bucket 4 gallons. When I use it as a stool to sit on while detailing, i find myself leaning way far over. Top quality system iuncludes the dolly which by the way is about $45 by itself not including the shipping cost. 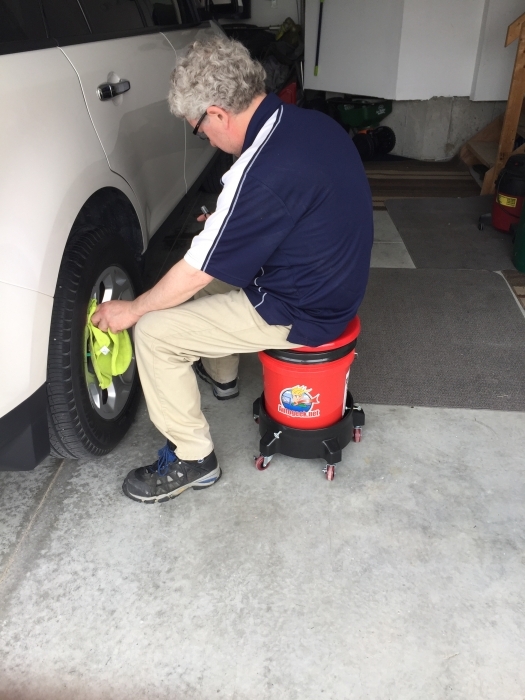 The casters are very solid with smooth rollers, the bucket and dirt guard are the regular plastic items but it comes with a bucket cover which screws on the bucket and is solid not cheap or ill fitting. The system also comes with a padded seat cover for waxing and buffing that comes in handy. ProsAll high quality items that fit together well. The dolly, bucket lid, are pad are solid when put together and will last a very long time. Do the research yourself the price is more than fair it's great for what you get and what's on the market today. If you are serious about keeping your car clean and not damaging the paint when you wash your car buy it.